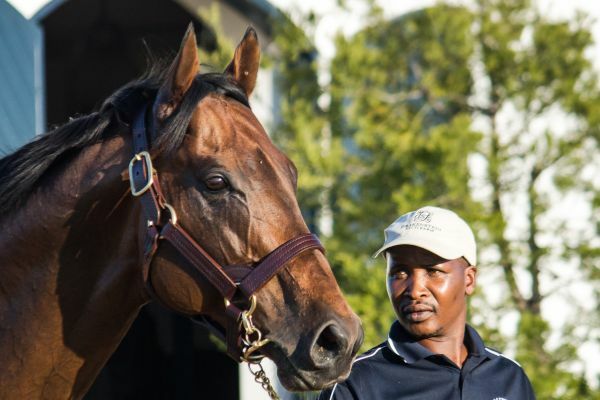 Drakenstein Stud’s in-form sire Duke Marmalade, responsible for the first two finishers home in the recent G3 Umzimkhulu Stakes, looks to have a very promising two-year-old to his name in the form of True To Life. An impressive winner on debut, the Northfields Stud filly made it two wins from as many starts when scoring a facile win, as the tote favourite, in a juvenile plate over 1400m at Turffontein on Saturday and True To Life now looks bound for bigger and better things! Saturday’s winner is yet another Duke Of Marmalade daughter to have made a good impression of late, with the former Cartier Champion responsible this season for not only the likes of Temple Grafin and Santa Clara, but Listed Ardmore Jamaica Handicap heroine Princess Irene and recent G2 Wilgerbosdrift SA Oaks third place finisher Seville Orange. A five time G1 winning son of Danehill from the family of A P Indy and Lemon Drop Kid, Duke Of Marmalade’s numerous other high class daughters include Cartier Champion Simple Verse, French Oaks winner Star Of Seville, Italian Oaks runner up Flower Party, and G1 Premio Lydia Tesio victress Sound Of Freeom. The sire of more than 60 stakes horses (his progeny have earned over $36 000 000), Duke Of Marmalade has 16 lots on offer at the 2019 Emperors Palace National Yearling Sale, including a colt (Lot 70) whose dam is a Dynasty half-sister to July winning champion Big City Life, a colt (Lot 108) out of a stakes winning sister to Horse Of The Year Irish Flame, and a filly (Lot 215) from the family of champions Lady In Black and Lizarre.